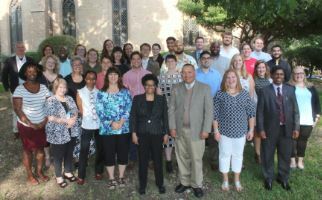 Austin Seminary is an innovative and forward-thinking institution dedicated to the advancement of theological education. The Seminary employs great people with great values, and strives to create a nurturing Christian atmosphere for our employees, students, affiliated churches, and our community. Austin Seminary is committed to excellence. The Seminary is committed to a work environment in which relationships are characterized by dignity, courtesy, respect, and equitable treatment, and in which employees receive support, recognition, and appreciation for jobs well done. In addition, the Seminary offers very generous benefits. Are you seeking an opportunity to make an impact on the future of ministry? If so, we may have the position for you. The Seminary offers a flexible spending account for employees to set aside money on a pre-tax basis to cover medical and dependent expenses. For ordained faculty and staff: ordained clergy may elect medical, long term disability, retirement and death benefits through the "traditional" program of Board of Pensions of the Presbyterian Church (USA). The medical insurance is administered by Highmark Blue Cross/Blue Shield. The prescription/mail order program is administered by Catamaran. Eligibility begins on the 1 day of the month following the employee's initial start date. For non-ordained or non-Board of Pensions staff: medical benefits are administered by the "Affiliated Benefits" program of the Board of Pensions of the Presbyterian Church (USA). The prescription/mail order program is administered by Catamaran. Eligibility begins on the first day of the month following the employee's initial start date. Unless otherwise stated in the employment letter, full-time employees become eligible to enroll in the Teachers Insurance and Annuity Association and/or College Retirement Equities Fund (TIAA/CREF) after one year. 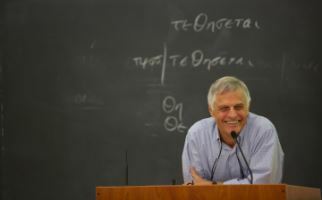 Each year, the Seminary's Board of Trustees establishes the Seminary's contribution (as a percentage employee salary) toward employee retirement annuity accounts. Once eligible for retirement benefits, employees may withhold money on a pre-tax basis for a supplemental retirement account. Long Term Disability and life insurance benefits are administered by Lincoln Financial. Short-Term Disability and Long Term Care benefits are administered by AFLAC. Dental and vision benefits are administered by Guardian.